The world remembers the photo of two-year-old Alan Kurdi, who died on a beach while his family was escaping the war in Syria. 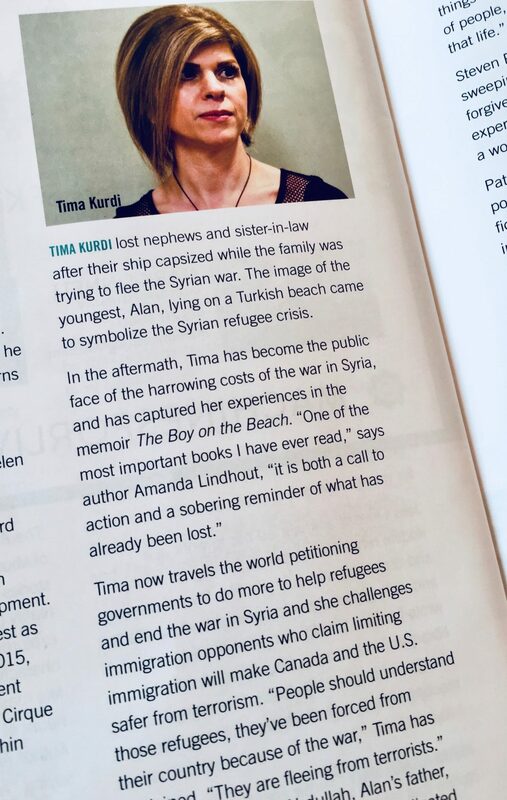 His aunt Tima Kurdi,a Vancouver-based journalist, was among the over 70 local, national and international authors invited to present at Kingston Writersfest this past weekend. Tima shared her family’s tragic story and exhorted countries to welcome refugees. One of my Syrian friends whose family came to Kingston in December 2016 attended the presentation with me. 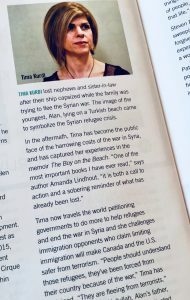 Tima’s words resonated with her since her family has gone through similar experiences in fleeing their homeland. Some fear that welcoming refugees will put a strain on the economy. Evidence from past refugee arrivals show that new refugees provide a huge economic boost to Canada. During the 1970’s Canada accepted more than 60,000 refugees from South-East Asia. Most of them could speak little or no English or French and lacked the skills for the Canadian workforce. Within a decade, these hard-working newcomers had a lower unemployment rate and relied less on social assistance than the average Canadian. One in five had started their own business. Of the Syrian family that our community group sponsored, two of the young men have full-time jobs, and their sister just earned her driver’s licence and is volunteering at a Daycare Centre. She wants to attend college to earn her Early Childhood Education (ECE) diploma so that she can work with children. My friend’s husband has been working for the past year to support his family. It is a point of pride that they have never accessed social assistance. They are happy to be safe and free in Canada but, as Tima Kurdi expressed, in the back of their mind remains a homesickness for the Syria before the war.